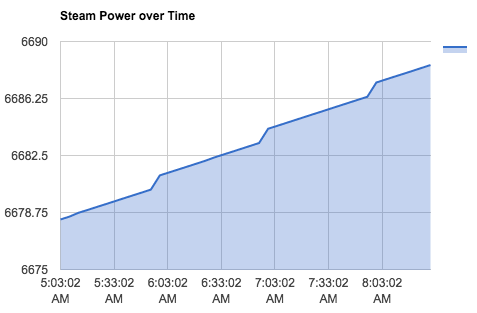 Want to track your Steem Power balance every five minutes? Come on, admit it, I know I'm not the only one who constantly hits refresh on the wallet page to see what's going on. 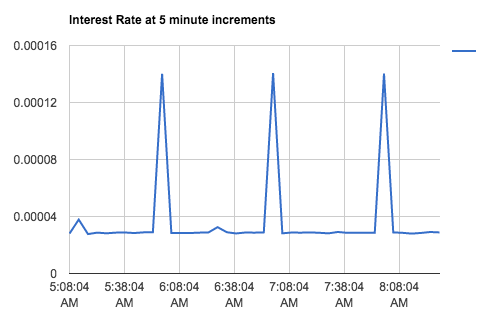 Yesterday I posted about a little PHP script I made to track your interest rate and how it changes over time. Today (instead of doing other things I should have been doing), I made another little script for tracking my account balance as another way to understand the Steam Power interest mechanics under the hood. Maybe someone more knowledgeable than me can chime in as to why that is. It appears to be some kind of hourly adjustment or payout. Anyway, I find this stuff super interesting, especially as many are holding Steem Power right now due to this interest rate and the hope in the future value of STEEM. Understanding it is important. If you're a PHP developer interested in building Steem related tools, be sure to hit me up. You can find me online via my intro post. I've read it once already and have skimmed through various sections a couple times. So much to learn! You should definitely give it a read. Fascinating stuff. Replying so you can see the update. It turns out the hourly bump is the market maker rewards.